Call it a long time coming, but we’re just now finally getting the official word regarding the Kyocera Hydro – a rugged style Android powered smartphone that we first saw way back earlier in the year during CES. Needless to say, it’s unknown why it has taken such an ungodly amount of time to launch, but nevertheless, the wait will soon be over. 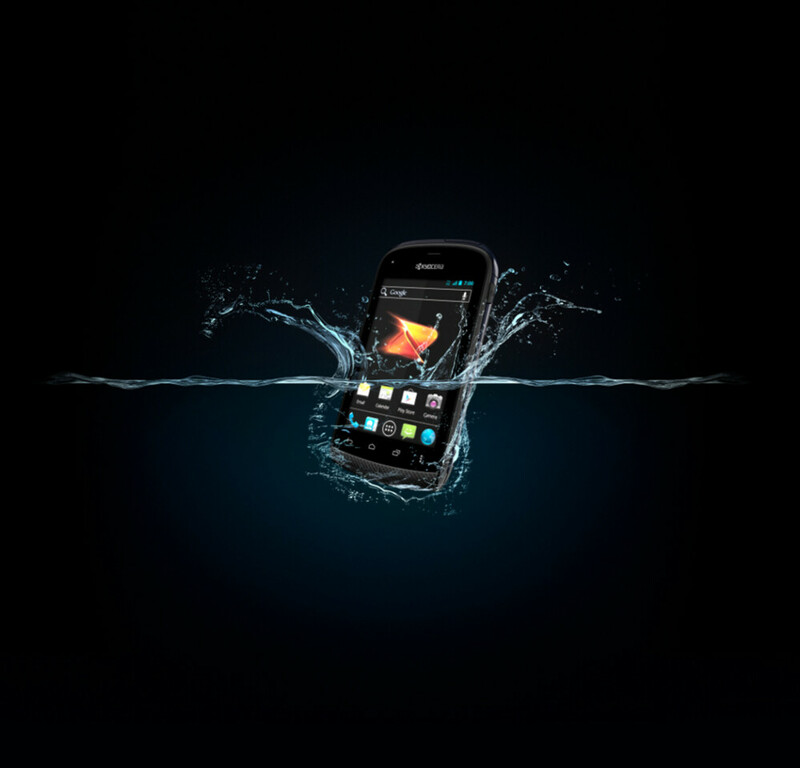 Today, it was announced that Boost Mobile would begin selling the waterproof Kyocera Hydro Android smartphone starting on August 3rd for the no-contract price of $129.99. Obviously, it’s a competitive offering, but more importantly, it’s the first IPX5- and IPX7-level water-proof no-contract Android smartphone. So even if you decide to take a dip in the shallow part of a pool, the Kyocera Hydro can withstand being submerged in 3 feet of water for up to 30 minutes. Most notable out of the items that are listed is the first bullet, that’s because back at CES when we played around with an early model of the handset, it was running an older build of Android. Therefore, it’s pretty nice that Boost Mobile customers won’t have to wait to experience ICS. However, it’s still anyone’s guess if Sprint will also be carrying the smartphone as well. 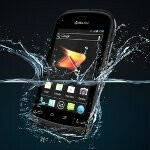 IRVINE, Calif. & SAN DIEGO – July 17, 2012 – Boost Mobile, a leader in the no-contract wireless industry, makes a splash this summer by unveiling the Kyocera Hydro, the first IPX5- and IPX7-level water-proof Android™-powered smartphone that doesn’t require a contract. Kyocera Hydro is “oops proof,” with innovative technology built to withstand sprayed water like rain (IPX5) or even being submerged in three (3) feet of fresh water for up to 30 minutes* (IPX7). Kyocera Hydro will be available starting Aug. 3 for $129.99 (excluding taxes) at Boost Mobile’s exclusive retail stores, select independent wireless dealer locations nationwide and at www.boostmobile.com with free shipping. The lightweight 3G smartphone, weighing only 4.16 ounces, will be available in select national retail locations later next month. Kyocera Hydro is paired with Boost Mobile’s no-contract $55 Android Monthly Unlimited plan with Shrinking Payments. For every six on-time payments, the cost of Boost Mobile’s Monthly Unlimited plan shrinks by $5, eventually getting down to as low as $40 a month for unlimited nationwide talk, text and picture messaging, Web, email and calls to 411. Payments do not need to be consecutive to qualify for the next savings milestone. Nice specs for the price...Can't say the same for the HTC Evo Design 4G. It needs to come off it like by 100$...I can see if Boost got the Photon or the EpTouch flauinting a 299$ or 350$ price but not the HTC Evo Design 4G. Well you have to remember that the HTC EVO Design 4G is the only 4G WiMAX phone on Boost Mobile right now. The Kyocera Hydro seems to be running only 3G, so it makes sense that it would get a cheaper price point. Exactly. While I agree with you Birds, I would much rather have the Epic Touch 4G on their network(or virgin mobile's) but having that 4G radio does justify the price tag compared to the rest of the other devices on their line up. When Verizon had the only LTE network on a major carrier, their phones were 299 now(hopefully) they won't be anymore higher than 199-250 now that AT&T and Sprint have LTE networks. After i jumped from boost to pageplus and walked into my local walmart they had the evo design 4g on boost for $189, i had to take a triple take i thought they had the price wrong and asked the manager that was working there and he said thats what they sell for. Just check walmart yours might have it for the same price.